If one thing is clear, is that Ubisoft’s upcoming Assassin’s Creed game is one of the most eagerly awaited video game releases of 2017. 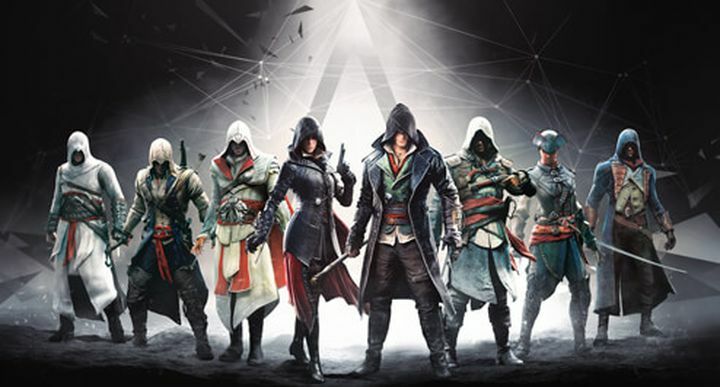 This makes sense taking into account that the series has quite a following worldwide, despite the fact that the last few games were not so great, and that unlike many expected, no mainline Assassin’s Creed game hit shelves last year. But Assassin’s Creed fans can now look forward to this year’s E3 show in California, where Ubisoft will be showing off their new game (likely on Monday, June 12). And we already know quite a few things about this new entry in the Creed series, including the game’s setting and other details, thanks to a series of leaks. And a leaked preorder card from US retailer Target (which was first spotted by Reddit) has now confirmed the game’s Egyptian setting, as the game’s protagonist is seen walking up to a huge pyramid in the background (likely the Great Pyramid of Giza). Also, this card confirms that this upcoming game will indeed be titled Assassin’s Creed Origins. Plus it reveals that the “Gold Edition” of Ubisoft’s latest Assassin’s Creed game will come in a steelbook, and also features a deluxe pack and a season pass. Like is the case with deluxe editions of games, this also comes with a bonus mission, which is titled “Secrets of the First Pyramids”. It’s likely that many Assassin’s Creed fans will be looking forward to get hold of this latest game in the series, then. And since excitement for this Assassin’s Creed game is sky-high, here’s hoping Ubisoft finally unveils the game’s first trailer and some gameplay footage (as well as a release date) at this year’s E3 in Los Angeles.